As Pennsylvanians get ready for the holiday season, Governor Tom Wolf is making sure families have the job opportunities to provide for their families. This month, the governor announced more than 1,400 jobs to be created and maintained across the commonwealth. 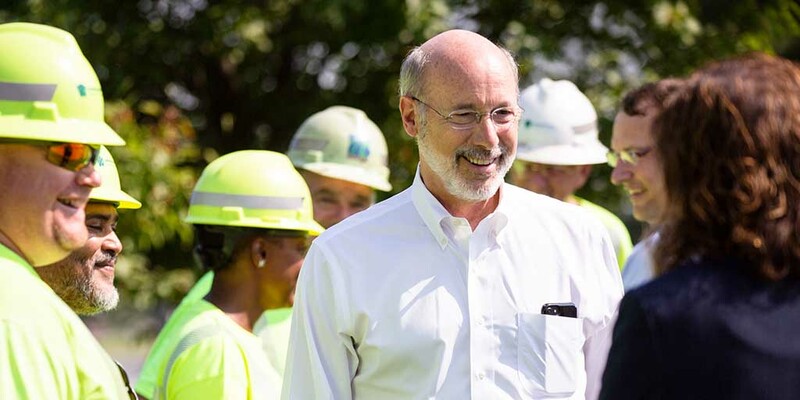 From expanding a veteran-owned business to investing in an up-and-coming online retailer, Governor Wolf is continuing to ensure businesses can grow and succeed in Pennsylvania. Governor Wolf continues to invest in education and workforce development to prepare young Pennsylvanians for 21st-century jobs. This month, the governor secured an additional $30 million in PAsmart grants and $2.5 million for Teacher in the Workplace grants — significantly extending STEM education, apprenticeships, and job training opportunities for the next generation of Pennsylvanians. These grants create vital partnerships for workers and students, improving coordination between state agencies, cutting red tape, and investing in Pennsylvania’s businesses. This month, Governor Wolf announced that goPuff, an increasingly popular online retailer and home delivery provider, will construct a new headquarters in Philadelphia and build ten warehouses across the state, creating over 500 new jobs over the next three years. Homeland Manufacturing Services, Inc, a veteran-owned electronics manufacturer, will be expanding into Centre County, bringing fresh new jobs into the area and allowing for the creation of more sustainable career options over the next three years. Five counties will see new growth and economic development projects supported by more than $3 million in low-interest loans from the Pennsylvania Development Authority program. One project alone — the expansion of an industrial park in Berne Township industrial park — is expected to employ about 800 people when completed. In all, these projects across the five counties will create and retain more than 925 full-time jobs ranging from printing and packaging to construction. Additionally, 11 former industrial sites across six counties will be cleaned up to prepare them for businesses and homes through the Industrial Sites Reuse Program. This effort will turn contaminated sites into brand new healthy, working, living, and breathing communities.